Dettagli su David Sanborn - Taking off (CD; 1975). David Sanborn - Taking off (CD; 1975). David Sanborn - Taking off. ANNO: 1975. Cd in ottimo stato. Custodia in discreto stato;. David Sanborn - Taking off (CD; 1975). 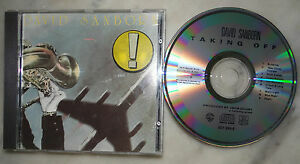 David Sanborn - Taking off (CD; 1975).